- Անկախության հռչակում 1947թվ. հոկ. 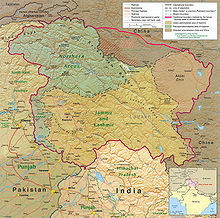 ↑ Government of Azad Jammu and Kashmir (անգլ.